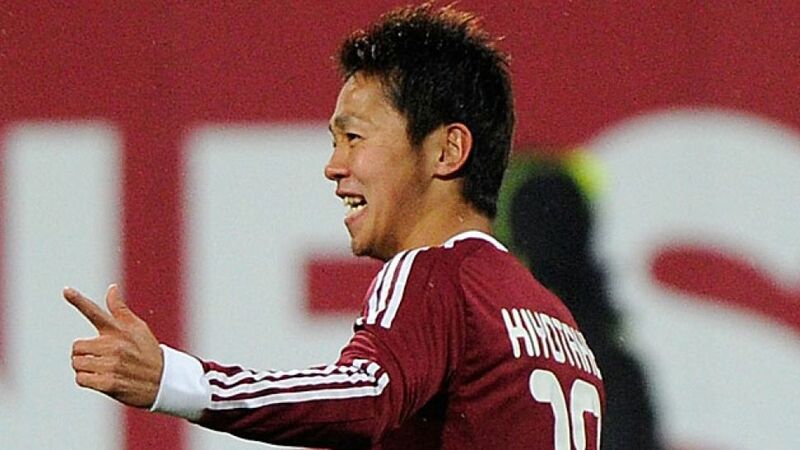 Nuremberg - Hiroshi Kiyotake is one of the big positives to have come out of 1. FC Nuremberg's first half of the season, and ahead of the league's restart this weekend, the midfielder looked back on the season so far while praising the defending German champions. Question: Mr Kiyotake, you played your first ever Bundesliga game against Nuremberg’s next opponents HSV. What are your memories of that game? Hiroshi Kiyotake: I can remember it clearly. I came out of the players’ tunnel and said to myself ‘this is my first real game for der Club.' I can remember a huge, full, pure-football stadium with many, many visiting fans who had made the long journey to Hamburg. Question: How is it in Japan - do the fans follow their team to away games there also? Kiyotake: Yes, but not to the same extent as in the Bundesliga. Baseball is the number one sport back home, but football has really caught up a lot. For me personally, baseball was never an option, simply because my father and my siblings played football. Question: You played 16 games in the first half of the season, so you’re a first-team regular. Are you pleased with that? Kiyotake: It’s okay. In truth, I had set a target of ten goals and ten assists at the start of the season so I’m not fully on course with just three goals and five assists so far. Kiyotake: Most of them came from set-pieces. I would prefer to do more from open play. Question: FCN are regarded as a strong defensive side, though, so that doesn’t really make things easier for a creative player like yourself, does it? Kiyotake: That’s the way things go sometimes. I have to try and use my strengths for the good of the team. Question: Your new coach, Michael Wiesinger, wants to play a more attacking style with quicker counters. Have you been practising that during the training camp in La Cala de Mijas? Kiyotake: Yes, we worked particularly hard on our passing and being in possession, but you can’t just get used to things like that so quickly and it will take a little while before the whole team has adapted fully. Long balls are okay from time to time, but I obviously prefer a passing game. Question: What do you think your role is on the field? Kiyotake: I like to do my work up front, preferably in the opposition’s penalty area. Here, I often have to drop deep to get balls and that’s not really my style so much, but I know that there’s no other way if we want to be successful as a team. Question: Which team has impressed you the most in the Bundesliga? Kiyotake: Without a doubt Dortmund. The speed with which they play the ball around has made many a defence look old. Bayern also have a great team, of course, but Dortmund’s style of play has impressed me the most. Kiyotake: Of course here at Nuremberg we can’t compare ourselves with Dortmund in terms of individual quality, but I believe that, if we could just get a bit closer to playing the way they do, then that would be positive.